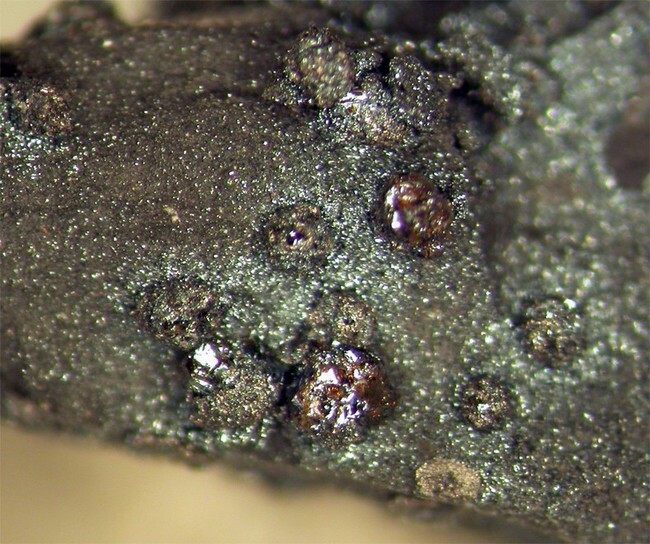 Cohenite: Mineral information, data and localities. May contain minor Ni or Co replacing Fe. 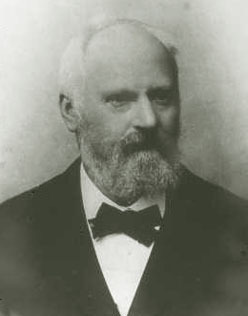 In honor of Emil Wilhelm Cohen (1842–1905), Professor of Mineralogy, University of Greifswald, Greifswald, Germany. In technical iron alloys, cohenite is well-known as a synthetic phase and is called cementite (Zementit in German). Iron 4 photos of Cohenite associated with Iron on mindat.org. Troilite 1 photo of Cohenite associated with Troilite on mindat.org. Kamacite 1 photo of Cohenite associated with Kamacite on mindat.org. Taenite 1 photo of Cohenite associated with Taenite on mindat.org. Palache, Charles, Harry Berman & Clifford Frondel (1944) The System of Mineralogy of James Dwight Dana and Edward Salisbury Dana Yale University 1837-1892, Seventh edition, Volume I: 122-123. Transactions of the Royal Society of London: A286: 453-491. Brearley, A. J. & Jones, R. H. (1998) Chondritic Meteorites: IN: Planetary Materials (Papike, J.J. [Ed. ]), Chapter 3, 398 pages: Mineralogical Society of America: Washington, DC, USA. Berkley, J. L. (1986) Four antarctic ureilites: Petrology and observations on ureilite petrogenesis. Meteoritics 24(2): 169-189. (June 1986). Twentieth Symposium on Antarctic Meteorites. Proceedings of the NIPR Symposium, No. 9, held June 6-8, 1995, at the National Institute of Polar Research, Tokyo. Editor in Chief, Hideyasu Kojima, with Naoya Imae, Makoto Kimura, Akira Shimoyama, Nobuo Takaoka. Published by the National Institute of Polar Research, 1996, p.79; Brearley, A. J. & Jones, R. H. (1998). Chondritic Meteorites. In: Planetary Materials (Papike, J. J., Editor): Chapter 3, 398 pages. Mineralogical Society of America: Washington, DC, USA. (1998) ; Scott, E. R. D., Taylor, GJ, Maggiore P., Keil K. & Mckinley S.G. (1981) Three CO3 chondrites from Antarctica — Comparison of carbonaceous and ordinary type 3 chondrites: Meteoritics 16( 4): 385. (Dec 1981). Olsacher, J. (1931) El Meteorito de Salavina (Prov. de Santiago del Estero): Revista de la Universidad Nacional de Cordoba 18 (9-10): 430-416. (Nov-Dec 1931). DeLaeter, J. R. (1973) The Youndegin Meteorite: Meteoritics 8(2): 169-179. (June 1973); Buchwald, V. F. (1975) Handbook of Iron Meteorites. University of California Press. 1418 pages. Ulff-Møller, F. (1985): Solidification History of the KitdlÎt Lens: Immiscible Metal and Sulphide Liquids from a Basaltic Dyke on Disko, Central West Greenland Journal of Petrology. 26,64-91. P, Ramdohr, Ore Minerals and their Intergrowths, 2nd ed., vol 1, pg 355. Petaev, M. I. & Wood, J. A. (1997) The CWPI (Condensation with Partial Isolation) Model: Formation of Carbonaceous and Enstatite Chondrites from the Same System. Meteoritics & Planetary Science 32: p. A105. (July 1997). Taylor, G. J., Okada, A., Scott, E. R. D., Rubin, A. E., Huss, G. R., & Keil, K. (1981) The Occurrence and Implications of Carbide-Magnetite Assemblages in Unequilibrated Ordinary Chondrites (abstract): Lunar and Planetary Science Conference XII: pp. 1076-1078. (March 1981). WOJCIECH STANKOWSKI, GEOCHRONOMETRIA Vol. 20, pp 103-106, 2001 ñ Journal on Methods and Applications of Absolute Chronology; Karwowski, Ł., Pilski, A. S., Muszyński, A., Arnold, S., Notkin, G., & Gurdziel, A. (2011). 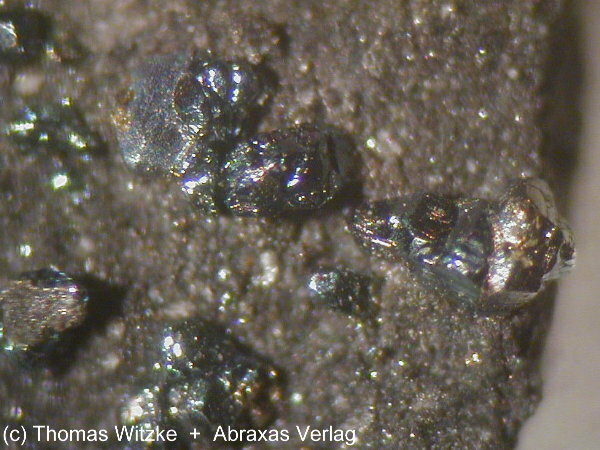 New finds in the Morasko meteorite preserve, Poland. Meteorites, 1, 21-28. Grebennikov, A. V. (2011). Silica-metal spherules in ignimbrites of southern Primorye, Russia. Journal of Earth Science, 22(1), 20-31.
ⓘ Kolyma Fulgurite occurrence ? H. J. Axon, J. Kinder, C. W. Haworth and J. W. Horsfield (1981) Carlsbergite, CrN, in Troilite, FeS, of the Sikhote Alin Meteoritic Iron. Mineralogical Magazine 44:107-109. Martínez-Frías, J., Rodríguez-Losada, J.A., Benito García, R. & García-Guinea, J. 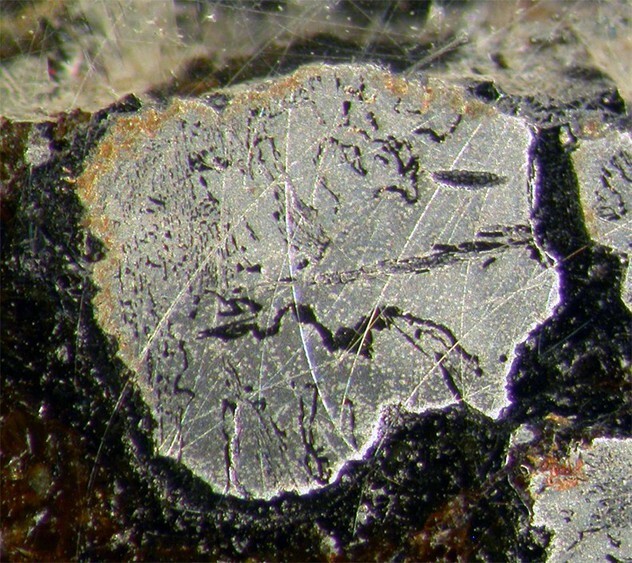 (1989) Mineralogía y texturas del meteorito de Nulles (colección del M.N.C.N., Madrid): Geogaceta 6: 5-7. Farrington, O. C. (1915)Meteorites: Their Structure, Composition, and Terrestrial Relations. The Lakeside Press, R. R. Donnelley & Sons Company: Chicago. Wlotzka, F. & Fredriksson, K. (1988) Magnetite-Carbide and Al-Rich Inclusions in the Study Butte H3-Chondrite: Meteoritics 23(4): 311-312. (Dec 1988). ; Fredriksson K., Jarosewich E., and Wlotzka F. (1989) Study Butte: A chaotic chondrite breccia with normal H-group chemistry. Z. Naturforsch. 44a: 945-962.; Krot, A.N., Zolensky, M.E., Wasson, J.T. & Scott, E.R.D., Keil, K. & Ohsumi, K. (1997) Carbide-Magnetite assemblages in type-3 ordinary chondrites: Geochimica et Cosmochimica Acta 61(1): 219-237. (Jan 1997). J. I. Goldstein THE DISTRIBUTION OF Ge IN THE METALLIC PHASES OF SOME IRON METEORITES GODDARD SPACE FLIGHT CENTER; Buchwald, V. F. (1975) Handbook of Iron Meteorites. University of California Press. 1418 pages.